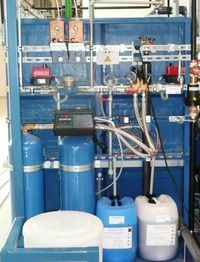 Water treatment: avoiding idle times. Make-up water and circulation water: Their condition is of critical importance. Both have an effect on the good working order and service life of any recooling system. If the impact of water treatment is neglected, the water quality will deteriorate. The consequences of this gradual process will be calcification or furring on the heat exchangers or corrosion damage. 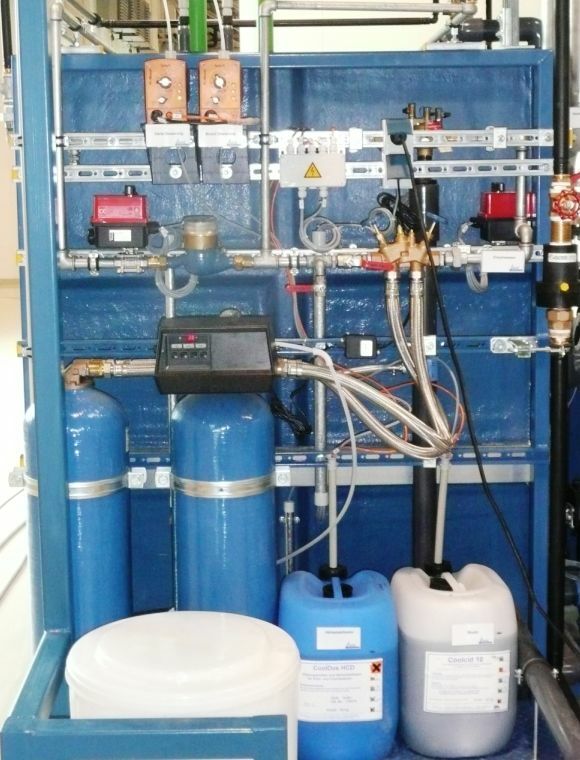 Open systems that are cooled with water are often infested with microbiological contamination or deposits. 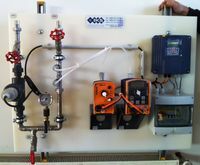 Contaminated pipes or heat exchangers will reduce the cooling power and clog the system. Cooling water thus contaminated by germs will get into the environment via the cooling tower circuit (fan). Inhaling such contaminated air (such as in the format of Legionella bacteria) will pose a serious health hazard for human beings. Safety, preservation of value, process optimization: The required equipment will be selected and combined based on the analysis of the make-up water. pH value control and additional feeding and metering > to guarantee the best pH value. IKS will consider your cooling system in its entirety. 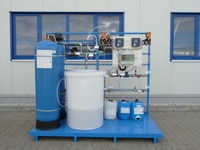 Water analyses to check your equipment and supply and delivery of the chemicals required for this purpose will supplement the services provided by IKS. Just ask us for details, solutions or References.